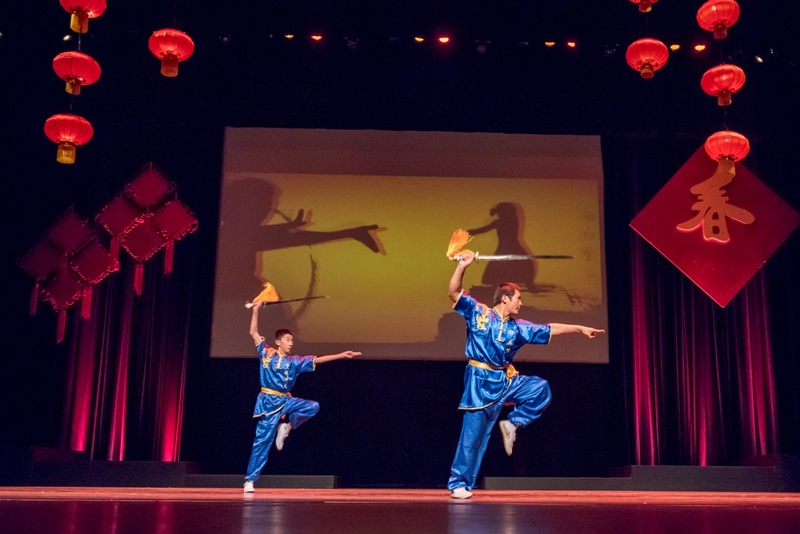 Arizona’s premier event celebrating the Lunar New Year returned to Centennial Hall on February 4th with an outpouring of culture, color, and creativity. 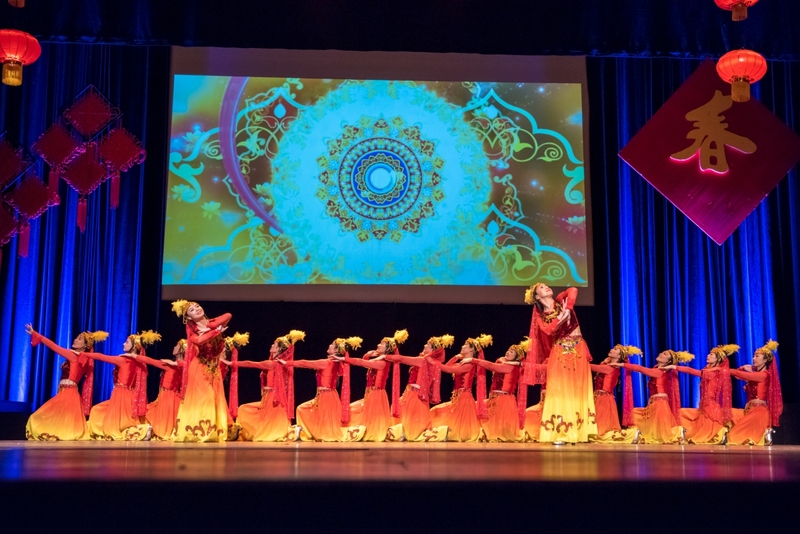 In its eighth year, the Arizona Chinese New Year Festival featured more than 200 artists and performers, including special guests from Shaanxi Normal University and Qingdao 16th Middle School in China. 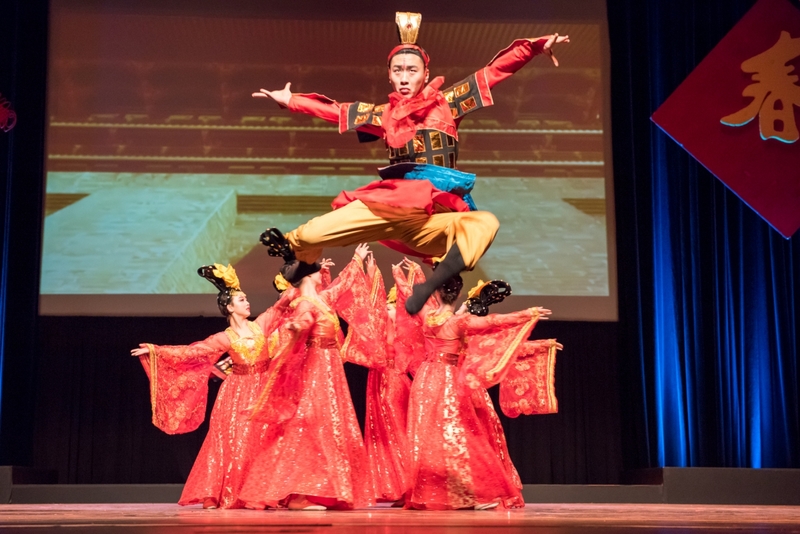 Presented by the University of Arizona Confucius Institute (CIUA) and the Tucson Sino Choir, the event rang in the Year of the Rooster with Chinese folk singers, dancers, violinists, and martial arts masters. The Lunar New Year begins on the first new moon between January 21st and February 20th, marking a holiday celebrated around the world. Keeping with tradition, each year is assigned an animal and an element; 2017 being represented by the Fire Rooster, the first of its kind in 60 years. Those born on Rooster years are said to be loyal, hardworking, and social. While festival participants celebrated the Rooster, artistic director Dr. Larry Lang said geographical distinctions brought the most influence to this year’s event. “Since Shaanxi Normal University sent its performance troupe to Tucson, we had a very strong Northwest style on stage. Generally speaking, people from Northern China like mountains, whereas people in the South might prefer water,” said Dr. Lang, who also serves as director of the Center for Chinese Music at the UA Fred Fox School of Music. 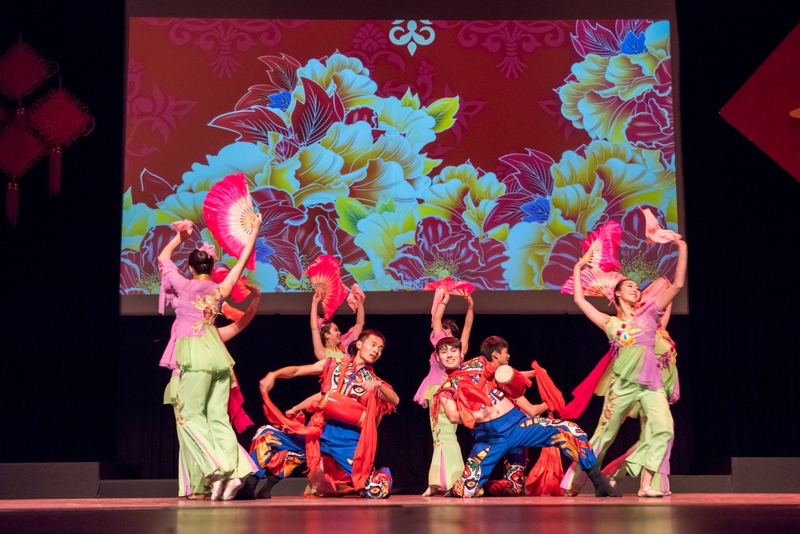 While the event was lighthearted in nature, Dr. Lang explained that it means more than entertainment for the Chinese community in Tucson and beyond. The CIUA, with support from the UA Office of Global Initiatives (OGI), seeks to promote cultural exchange and advance friendly, productive relationships between the U.S. and China. The Institute is a collaboration between the UA and the Hanban, a Chinese public institution committed to providing Chinese language and cultural teaching resources worldwide. 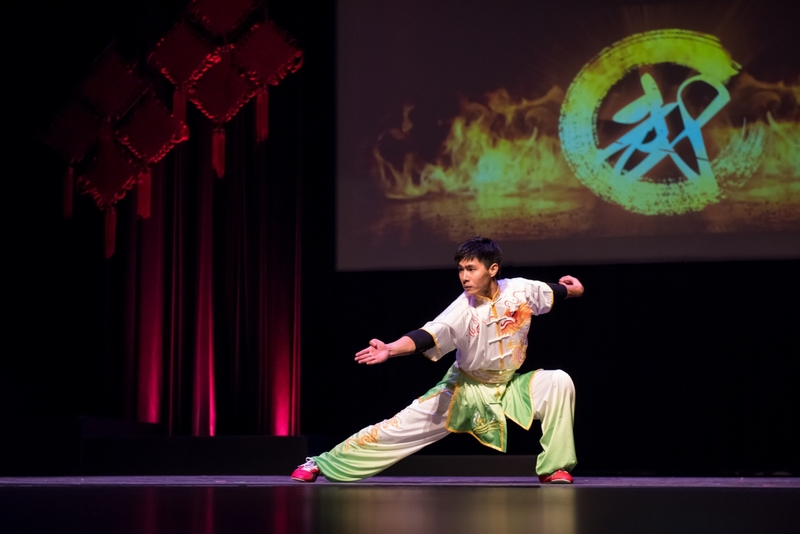 The CIUA has a strong commitment to language instruction and teacher training; health promotion and wellness of the mind and body with a focus on traditional Chinese medicine and martial arts; and Chinese music and performance arts appreciation and instruction. With support from sponsors, the CIUA is growing. In 2016, it established nine affiliated Confucius classrooms and a number of teaching sites in Tucson to provide Chinese language and culture classes. The CIUA maintains the Chinese Wushu Center; the Center of Chinese Medicine, Health and Wellness at the Mel and Enid Zuckerman College of Public Health; and the Chinese Music Center at the Fred Fox School of Music. Marcia & Otto Fest with OTEK Corp.